Of course I teach my children about Santa Clause - because Santa (Saint) Clause (NiCHOLAS) was a real person and I believe in the communion of saints. and we're making the St. Nick Spoon Saint! 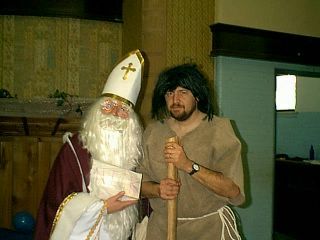 St. Nicholas with John the Baptist - Santa and the Jesse Tree! 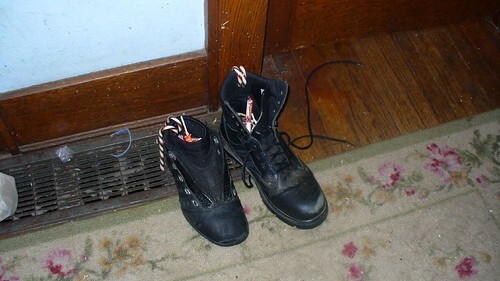 The kids put their shoes out last night! 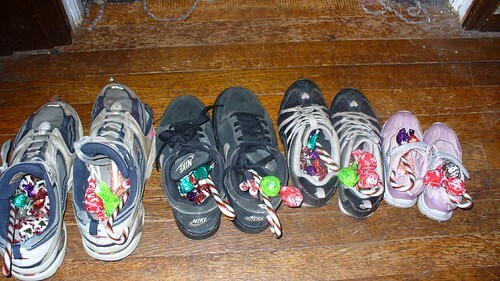 My other St. Nicholas links!